The private rented sector in Wales has more than doubled in ten years and now comprises around 14 per cent of the total housing stock. Reduced access to mortgages, shortages in social housing, and the impacts of the economic downturn and welfare reform have all in recent years contributed to growth in the sector, which is widely expected to continue to grow while other sectors stagnate or shrink. Recent research by Shelter Cymru has challenged the stereotypical image of private sector tenants as mostly young, child-free, and actively choosing to live in the sector for the flexibility it offers. In fact, one third of private tenants had dependent children under 18, while tenants who said they were in the PRS only because they had no other choice outnumbered those who said they wanted to be there by four to one. Just 15 per cent chose to live in the PRS. It is clear that that more people will be making their home in the private rented sector and for longer, so it is essential that the sector is up to standard. There needs to be better regulation to help good landlords and agencies and eliminate the unscrupulous or irresponsible elements in the market. We support a compulsory licensing scheme which, alongside tenancy reform would create a much more transparency, accountability and understanding for all concerned. We also want to see clear protection for tenants from retaliatory evictions, a better incentive for landlords to offer longer-term and secure tenancies, and better regulation around agency fees and costs. There are a number of ways that you can help us to improve standards and conditions in the PRS. We’ve outlined a few below. Have you had a good or bad experience in the private rented sector? What happened? What could have made a difference? What would you change if you could? 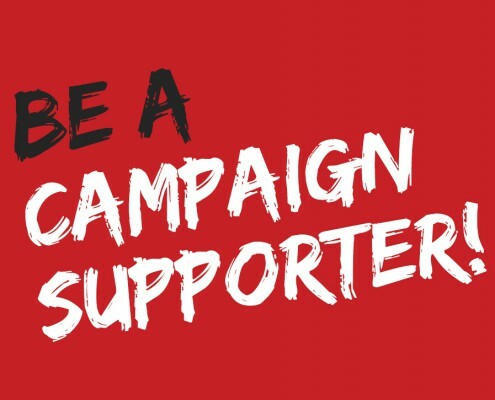 Our campaigning is grounded firmly in people’s real-life experiences and we want to make sure your voice is heard. Have you been stung by unexpected or hidden letting agent fees? From 1 November 2013 all letting agencies in England, Wales and NI must provide information upfront on what fees they charge, in their ads (in print and on their own websites). This new Advertising Standards Authority (ASA) requirement doesn’t stop agencies charging sky-high fees – but it does mean they have to tell you about them upfront. And we think they should stick to the rules. That’s where you come in. Tell us every time you come across fees that haven’t been advertised – and we’ll pass it on to the ASA to take action. Please do not report any adverts listed on property portal sites (such as Rightmove, Zoopla and Primelocation) as they are exempt from this requirement. You can report hidden letting fee charges here. Read our report Fit to Rent? on conditions in the private rented sector. Read our mythbuster on the impacts of landlord licensing. Read our response to the general principles of the Renting Homes Bill. We are bringing together private renters from across Wales to draw attention to the issues faced by people who rent their homes privately. By learning about tenant rights and campaigning locally we look to give renters a stronger voice in Wales. If you’ve had a good or bad experience in the private rented sector, we want to hear about it.